Diggers Valley: 2 March 2019. The week beginning the 2nd of March 2019. 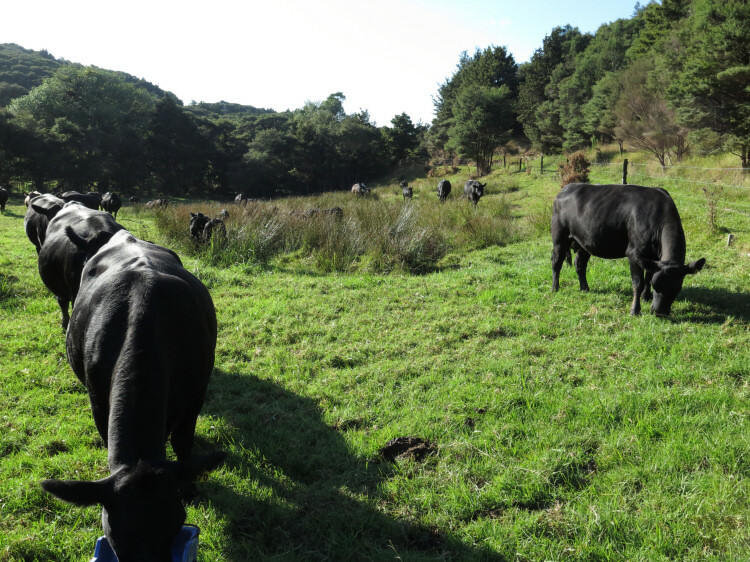 I went out to move the cattle this morning, since the Blackberry paddock isn't a big area for so many of them and I'd otherwise not be back to see them until this afternoon. We will eventually fence off the drain down the middle of the paddock and deal to some of the rushes where they do not grow within that area. These are things to come. Then we went to the welcome event of Te W&amacr;nanga o Aotearoa, for this year's students. Lots of people we expected to see weren't there but we'll catch up with them again when classes begin. Out for coffee and lunch with Roz and Alan this morning. A lovely, impromptu event. Then home for a sleep because our wild social life is exhausting. I still think Dushi is lovely. 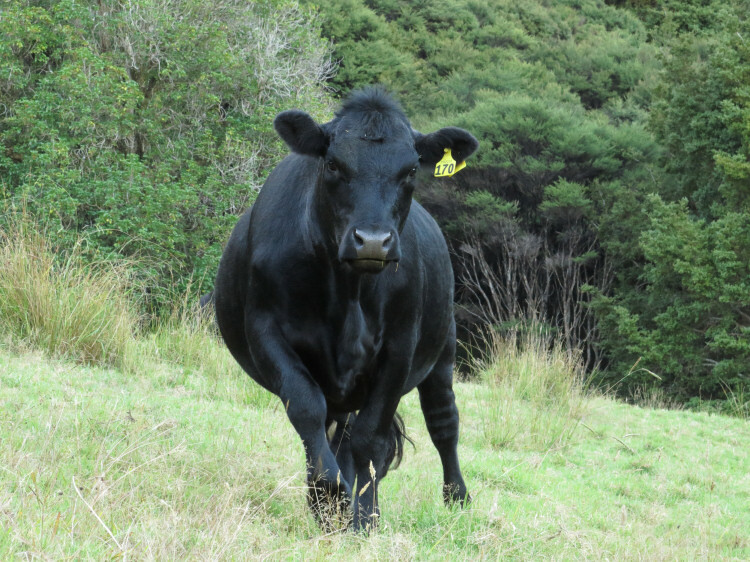 I was carefully walking up the hill in the Spring paddock, checking on everyone. The wind was very warm. Down along the boundary adjacent to the gum trees, there's a lot of bare earth, turned over by feral pigs. 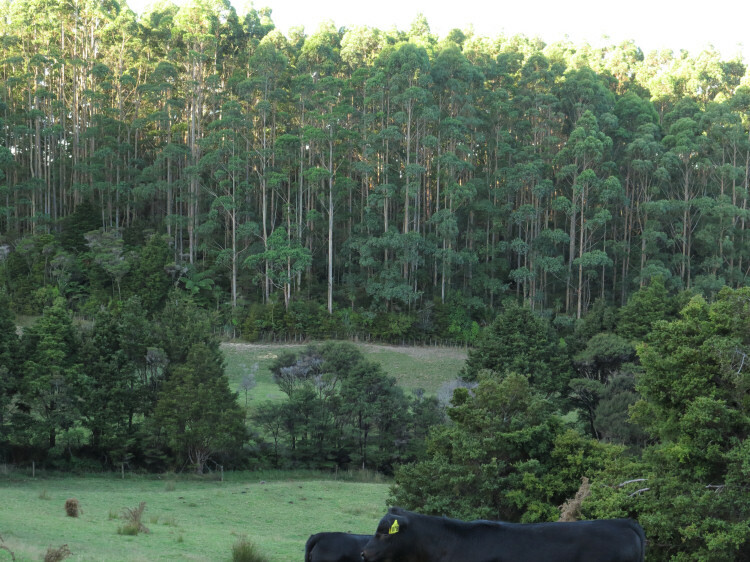 But it also occurs to me, looking from here at those huge trees, that they may be the reason the fertility of that paddock is so difficult to manage: perhaps any fertiliser I apply gets sucked straight up into the gums? They also shade most of the paddock. I thought this was potentially an arty shot but didn't have the patience to work too hard on it. Off to the hospital this morning for another blood test, this one requested by the hospital, to see what effect the blood transfusions had had. My Haemoglobin level on the alarming day was 88g/L, dropping to 86 in the hospital on a subsequent test. Today it's back up to 104g/L, still lower than the 115-155 normal range but at least I'm less likely to fall over today than I was then. Interestingly, from an inside-me perspective, the major difference between those low nights and now, is that I can sleep. When I didn't have enough blood, my heart beat far too quickly, making me feel constantly on edge. With a normal resting heart rate of 50 beats per minute, a 50% increase to 75 felt horrible when I was trying to rest. Before going out to check the cows this morning I washed my brand-new UBCO bike. I keep finding ridiculous faults with it: now the display comes on by itself! There have been occasions when it won't turn on at all and others when it has refused to provide power to the motors. It will have to go back to the shop. How stupidly inconvenient. I checked the cows in the Middle Back, then counted them all through the gateway into the PW. 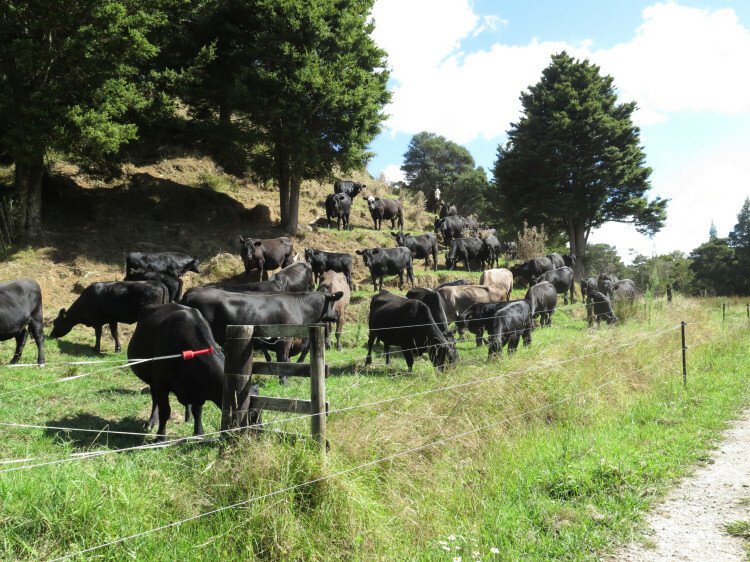 By the time I came back along the track, they had all come along the bottom of the paddock to the front corner. They'll often go to the far end of a grazing area before working their way back and they were quite happy to be there. Friend Fran keeps sending relief packages from her garden in Manawat&umacr;. She has a surplus of beans, which travel reasonably well, along with various other interesting things like dried pig blood powder, apparently an excellent source of haem iron, for addition to other foods to help boost my iron levels. I've not yet been brave enough to try that. I tracked down Big Soft Rabbit through the SPCA, receiving tonight a picture of him on his way to his new home in Wh&amacr;ng&amacr;rei, from a friend of his new owner. I hope he lives a happy life. Maybe one day we'll still get to stroke the beautiful ears? Like a machine, Stephan is digging, setting, pounding in posts, with only four to go when I went up to see how he was getting on. The hole marked by the spade was the worst of the entire job, Stephan said, during breaks as he worked to get the hole dug, while I sat under the big tree in a light shower and watched. 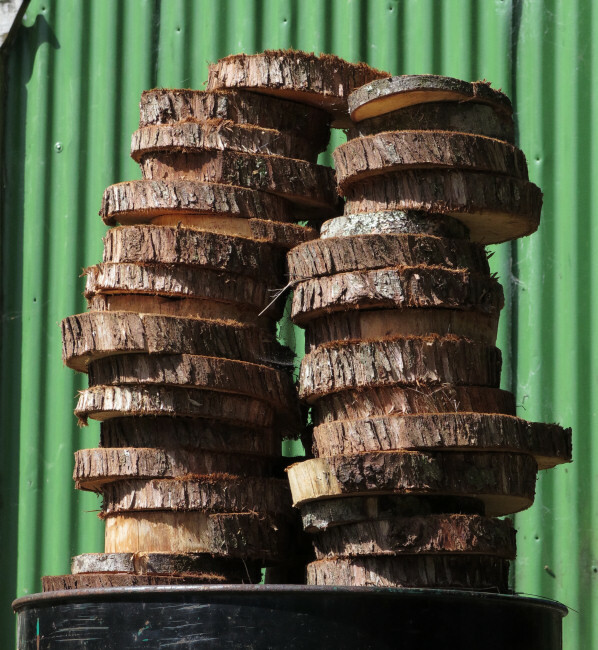 The big Totara tree's roots were all over the place in the hole, many requiring the application of an axe to put the hole where it needed to be. 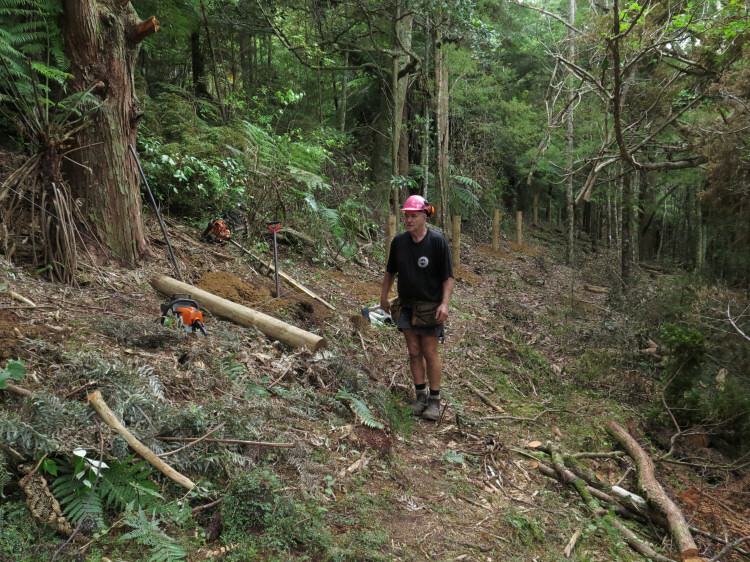 In this picture Stephan stood balanced on the cut-off remains of an original fence post. 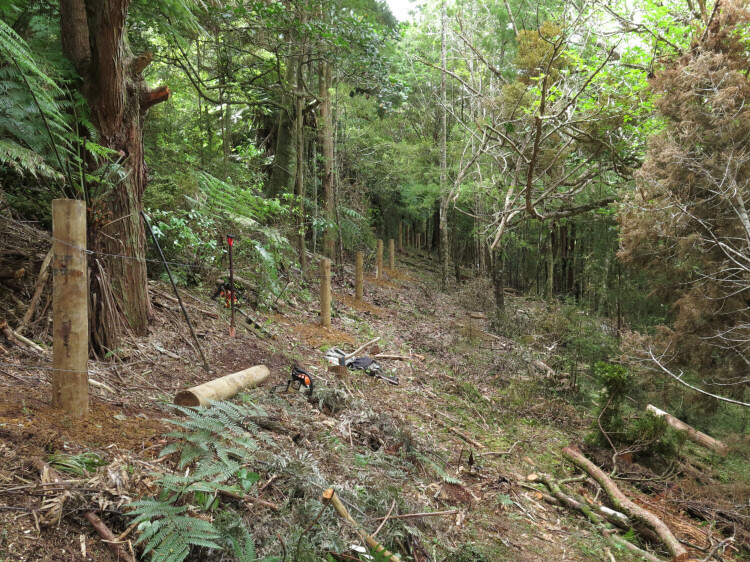 We have not moved the boundary but the original boundary fence moved downhill by a couple of metres, with a huge, slow-moving slip. It may have carried the big Totara tree with it, since the tree looks a little off perpendicular from some angles. 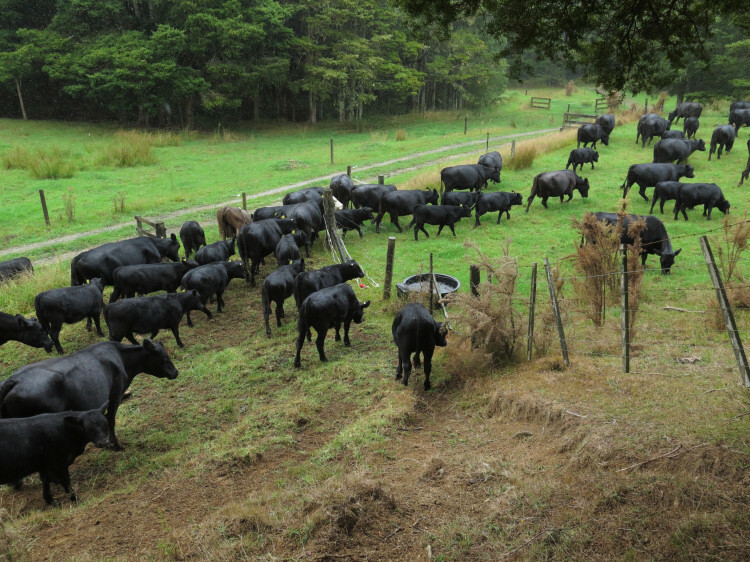 On my way home I stopped and checked, then moved, the big mob. I climbed the slope because for some reason calves sometimes end up coming up the fenceline instead of following everyone down and around through the gates. I didn't want to have to do anything in a hurry nor climb further up than this, so prevention was better than waiting to see what they'd do. I became a little concerned now we're approaching the end of this week, that I had still not received any correspondence from Wh&amacr;ng&amacr;rei Hospital. It was a great relief, upon tracking down the correct person to talk to, to hear that I am very firmly on next Tuesday's surgical list and I was subsequently emailed the appropriate correspondence. I'd been watching the news of the junior doctors' industrial action plans with some trepidation, since they'd originally flagged another strike on 12 March; but there's been no more discussion of that action this week and presumably the time is too short now for it to be going ahead. "Elective" surgery gets delayed during such interruptions. This evening we had a worried phone call from Sandi next door, to say our electric fence was cracking in an alarming way! In the dark there was an impressive spark, with a pink hue, along with the deafening crack. 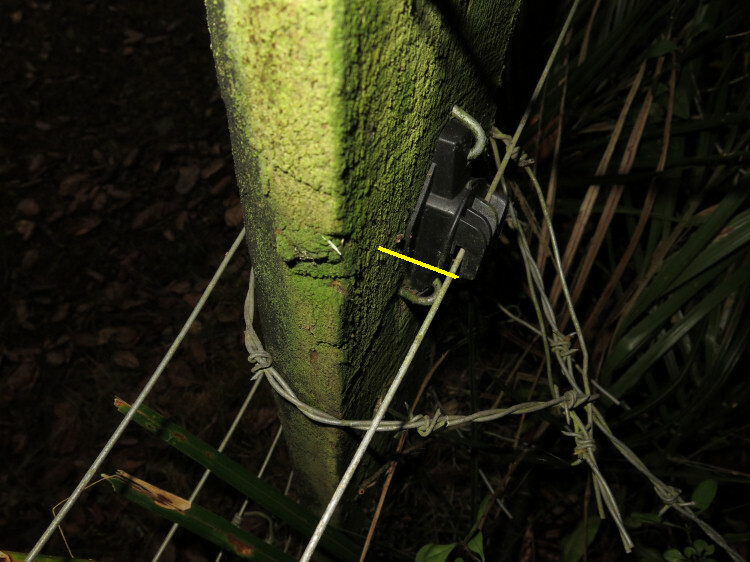 The cause was an unfortunate weta, which had presumably attempted to climb onto the electric wire from the post (position shown by the yellow line) and the electricity shorted through its body, killing it but then continuing to arc. The crispy weta. Had we not had some rain recently, this could have been a fire starter. 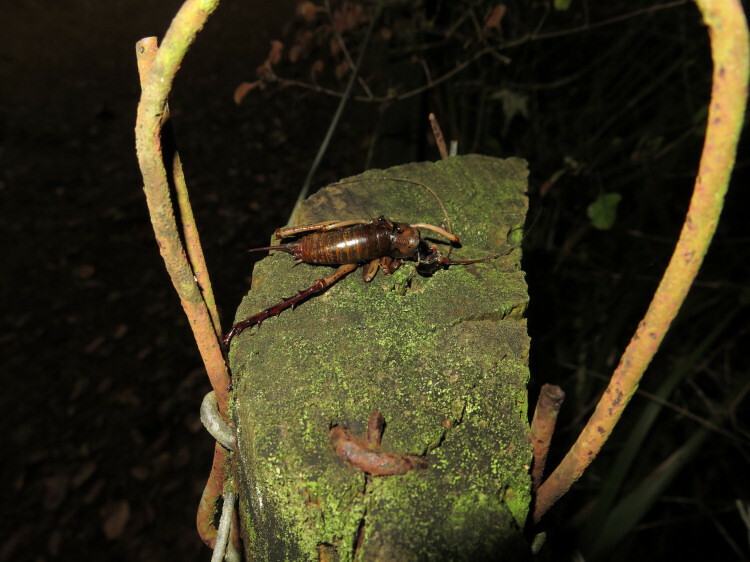 A companion weta was nearby on the top wire of the fence, watching Stephan as he removed the body of the dead insect. We have another lawn rabbit at the back of the house. 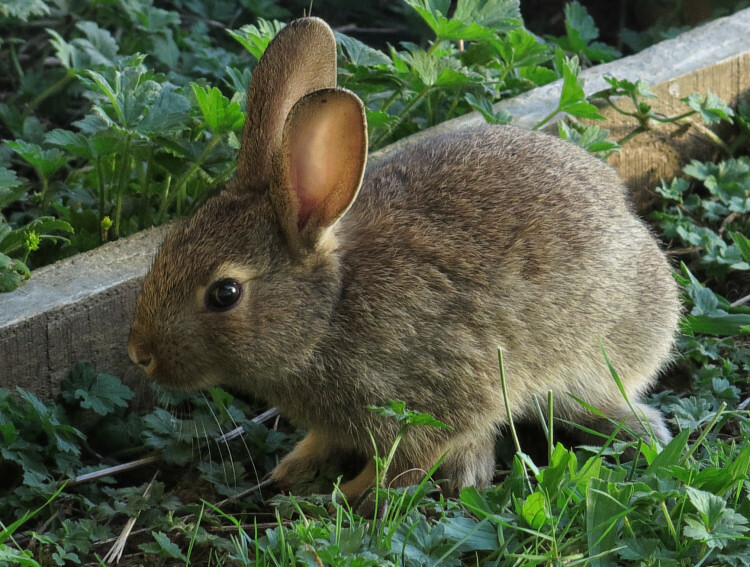 Small rabbits are terribly cute. This one does not have Big Soft Rabbit-sized ears. If you wish to send us a message or comment, feel free to do it here - email is also entirely acceptable.